ca. 525 - 520 B.C. 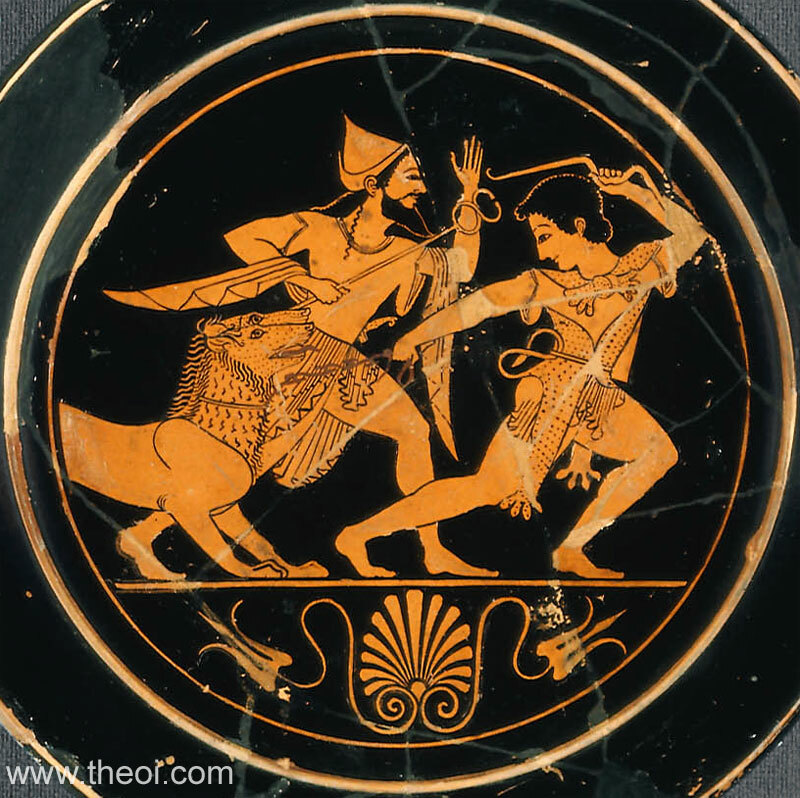 Heracles drags Cerberus, the hound of Hades, from the underworld on a lead as one of his twelve labours. The hero wears a lion-skin cape and raises a bow to subdue the beast. He is accompanied by the god Hermes, guide of the dead, who wears a peaked cap and holds a herald's wand (kerykeion) in his hand.